Not only does the newsletter give you a monthly update on activities and tips, but it also is a great way to get updates on things like snow emergencies for winter! So sign up today! 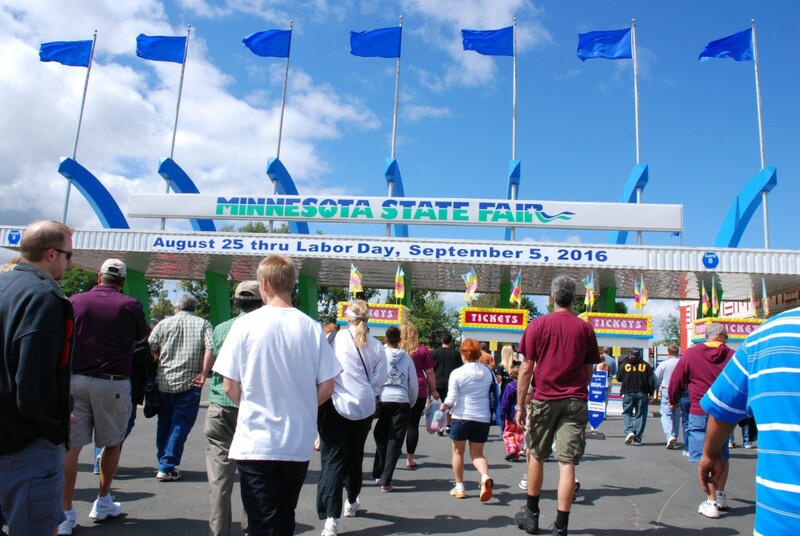 It is the best part of the fact summer has to end – The Minnesota State Fair! The Great Minnesota Get-Together opens today and there is so much to do – from the Midway to the dairy barns to anything you can imagine on a stick! There is is also some great entertainment at the Grand Stand this year with Bonnie Raitt, Demi Lovato & Nick Jonas, Alabama and Weezer. Get more information at the State Fair Website! County Fairs Are Summer Fun! While we all LOVE the Minnesota State Fair, there are also smaller and more intimate versions in almost every county in Minnesota. Check out one close to you or make a day trip and see a new part of the state. Get a list of all them here! Living in A Studio Apartment? Whether you are choosing a studio apartment due to price or want to embrace minimalist living, there are some great ideas for both decor and storage. One of our favorites is using sheer curtains to create a private sleeping space that allow light to flow but offer some privacy when visitors come calling! For more tips on how to maximize space & storage, visit our friends at Apartment Therapy!